The Radio Mystery Theater recordings are from open-reel copies acquired and traded with other fans in my decades of listening and enjoying this classic radio broadcast. Since the launch of the website in 2011, several collectors have contributed sound upgrades (even some second generation broadcasts which were right off the line of CBS). If you happen to have any better quality episodes in your collection, please contact us. All 1,399 episodes of Radio Mystery Theater recordings are available online for your listening pleasure free of charge and I hope the shows bring back some fond memories or create some new fans of Radio Mystery Theater! IS THIS AN OFFICAL WEBSITE? 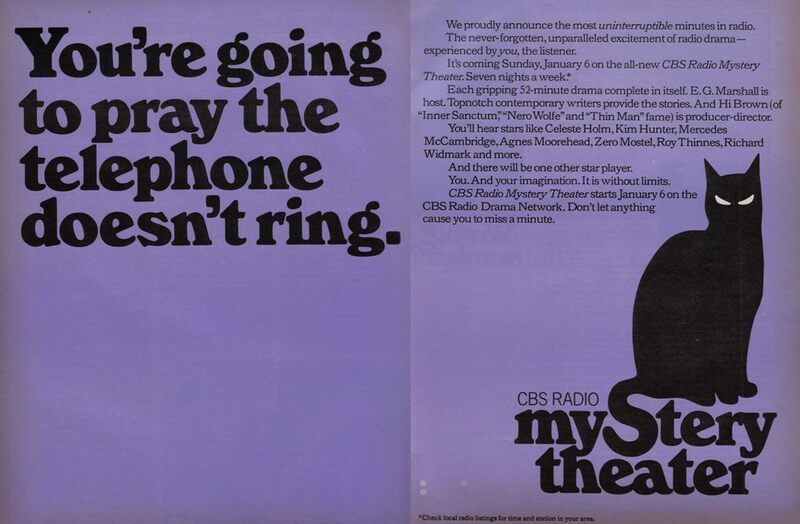 No, The CBSRMT.com website is a fan site of our favorite radio show, Radio Mystery Theater. HOW DO I DOWNLOAD THESE SHOWS TO MY COMPUTER? Locate & click the large yellow button that says "Click Here to Download" at the bottom of any episode page. "Right Click Here if it doesn't beging downloading in 10 seconds"
In Internet Explorer, right click and choose the menu "Save Target As..."
In Chrome or Firefox, right click and choose the menu "Save Link As..."
Using a Apple Macintosh computer, rather than right clicking, simply click and hold the link until the menu appears. Save the file to your desktop or easy to locate directory. You can listen to the episode in programs such as Windows Media Player, QuickTime, iTunes, VLC player, or WinAmp. 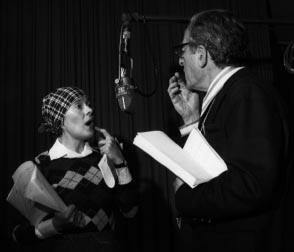 You can write the episode to an audio cd using cd writing software for away from the computer listening. CAN I DOWNLOAD ALL THE FILES AT ONCE INSTEAD OF ONE AT A TIME? With your donation of any amount of $15.00 or more, you will be given instant access to a page with all the MP3 files in .zip format you can easily download. Your contribution helps cover server and bandwidth costs associated with maintaining this website. Alternatively you might consider ordering the complete series on archival quality CD media shipped to your address to keep, enjoy, and share with generations to come. Please consider donating today to support the website! CBSRMT FORUM: HOW DO I USE THE COMMENT SYSTEM? Join fellow listeners and use the online comment system as a CBSRMT forum to discuss episodes of CBS Radio Mystery Theater. No registration required; you can note your favorite episodes and participate online with other CBSRMT fans. We appreciate your thoughts on the shows and encourage positive and constructive interaction between radio listeners. Comments are moderated and are posted after a short delay to ensure quality posts (no personal attacks against other listeners and spamming is blocked). HOW LONG WOULD IT TAKE TO LISTEN TO ALL THESE SHOWS? 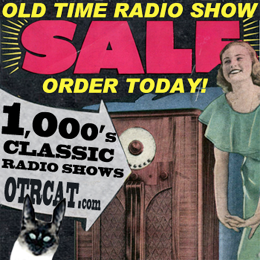 If you can stay awake for 43 days straight, you can hear all 1,399 CBS Radio Mystery Theater episodes on this website! This is calculating that there are 1,399 CBSRMT episodes and each episode is ~45 min duration = ~1050 hrs total playtime = 43 days+ of continual listening! We don't suggest you stay awake that long; come back often for your CBS Radio Mystery Theater fix! WHICH ACTOR MADE THE MOST APPEARANCES IN RADIO MYSTERY THEATER? 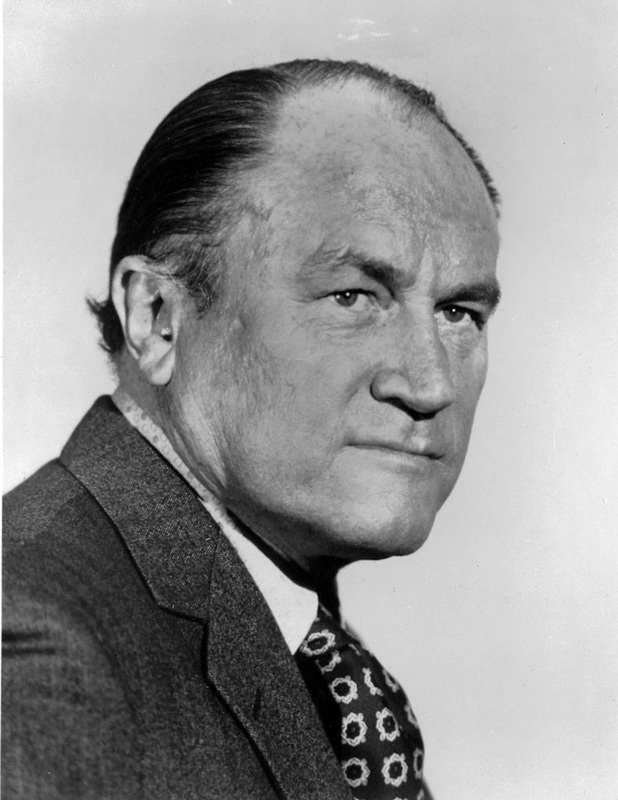 Besides the CBSRMT hosts, Tammy Grimes and EG Marshall, actor Robert Dryden appeared in over 300 episodes! Click here for more details and stats on the episodes, ages, and life expectancy of CBSRMT actors. WHAT WAS THE PRODUCTION BUDGET / SCHEDULE PER EPISODE? WHY IS HIMAN BROWN SOMETIMES HEARD HOSTING EPISODES? These are the same broadcasts with the original hosted by E.G. 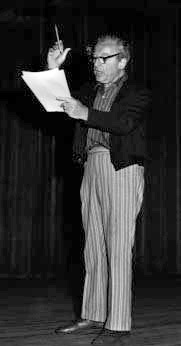 Marshall , but Hyman Brown hosted the later "revival" rebroadcasts. Himan Brown narrated the 1998 revival broadcast that was aired on NPR and some CBS affilates. HOW CAN I LISTEN TO SHOW OF THE DAY USING iTUNES OR RSS? If you have questions are not answered here, please contact us.